Model: B119511. Size: 25 16mm. The stake is steel/ Silver effect and engraves black. we will always send you a screen shot of the design for you to confirm or edit. BE SURE TO ADD CAPITALS / SPACES ETC IN YOUR INSTRUCTIONS. WE WILL ENGRAVE EXACTLY AS YOU TYPE. It will not discolour, fade or tarnish. This stainless steel within this bracelet is hypoallergenic, comfortable, durable and both lead and nickel free. Size of Silver Plaque : 6mm x 6mm x 35mm. sand or soil from a significant location. 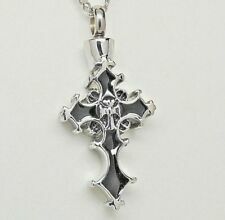 Size:Pendant:AS picture shown. Due to the light and screen difference, the item's color may be slightly different from the pictures. We will reply you ASAP. Your kind understanding and patience will be highly appreciated. Solid Brass Regal Multicolour Butterfly Heart Cremation Urn Case Stand. 1 x Regal Multicolour Butterfly Heart style urn. This lovely silver and ornate pink design heart urn displays a red and a green butterly on the front of the urn. 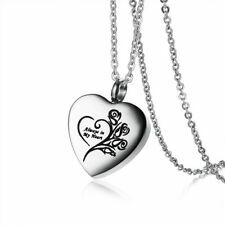 Our highly polished, engraveable pendants are made from high grade 316L stainless steel. It will not discolour, fade or tarnish. This pendant is hypoallergenic, comfortable, durable and both lead and nickel free. Handcrafted with care and skill in a small shop in Winnipeg, Canada. Urn is elegantly simple in design and made from solid oak. Top and bottom edges are rounded and decorated with continuous v-grooves. Each length of braided leather comprising the length of the bracelet is 5mm wide. This bracelet is available in a variety of colours: yellow, pink, blue and black colours. An infinity charm is attached to the bracelet. Cremation Urn Pendant. Included with the cremation pendant - Necklace in matching color, 45cm length. - velvet drawstring jewelry pouches. Handmade with care and skill in a small shop in Winnipeg, Canada. Solid oak construction, natural oak colour with 4 coats satin polyurethane finish. The box specifically has 9 spots for other uses. Brass finishing to hold the box closed and secure. For the dungeons and dragons player what better what to be done with the dice that built their own coffin for your character than to lay them in a coffin. These cremation urns are crafted only from the highest quality using intricate engraving to enhance the design. - presented in a lovely velvet box. Bank Deposit. 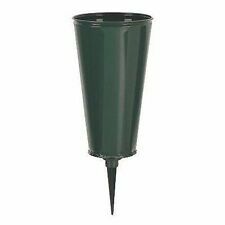 - securely fastened screw in lid which can be permanently sealed. A soft silver polish cloth is provided to keep your urn in prestige condition, otherwise, this lovely urn is totally maintenance free. The threaded screw-on lid can be sealed to permanently secure its precious contents. It will not discolour, fade or tarnish. 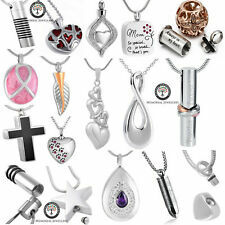 This pendant is hypoallergenic, comfortable, durable and both lead and nickel free. It is ready to wear as soon as you receive it. Length: 33mm (from the top of the bail to the point of the base). It will not discolour, fade or tarnish. This pendant is hypoallergenic, comfortable, durable and both lead and nickel free. It is ready to wear as soon as you receive it. Material: quality 316L grade stainless steel with gold colouring. 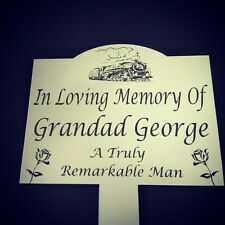 These cremation urns are hand crafted only using the highest quality materials using intricate handmade products individually crafted and finished by hand. Premium quality timber and brass, elegant detail and beautifully made. These cremation urns are hand crafted only using the highest quality materials using intricate handmade products individually crafted and finished by hand. It will not discolour, fade or tarnish. This pendant is hypoallergenic, comfortable, durable and both lead and nickel free. It is ready to wear as soon as you receive it. sand or soil from a significant location. Adult Brass Cremation Urn - Polished Nickel plated with blue birds. These cremation urns are crafted only from the highest quality using intricate engraving to enhance the design. Suitable for - Individually crafted and finished by hand. It is ready to wear as soon as you receive it. It will not discolour, fade or tarnish. This pendant is hypoallergenic, comfortable, durable and both lead and nickel free. sand or soil from a significant location. Dark grey double aluminum funeral cremation urn companion white ceramic heart. A soft silver polish cloth is provided to keep your urn in prestige condition, otherwise, this lovely urn is totally maintenance free. Engraving : manufactured from solid brass, this heart urn is also engravable. The 6" urn and heart urns are also provided with with a matching black velvet case. A soft polish cloth is provided to keep your urn in prestige condition, otherwise, this lovely urn is totally maintenance free. 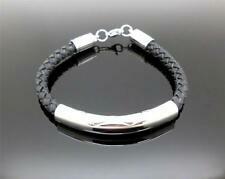 Each length of braided leather comprising the length of the bracelet is 5mm wide. This bracelet is available in a variety of colours: blue, black, pink and yellow colours. An infinity charm is attached to the bracelet. This bracelet is manufactured from solid 925 grade sterling silver. (see associated images to the left). If the circumference of a bangle you are wearing is 237mm or less this bracelet will fit you. Adult Brass Cremation Urn - / White polished nickel border. These cremation urns are crafted only from the highest quality using intricate engraving to enhance the design. - Individually crafted and finished by hand. Sand or soil from a significant location. It will not discolour, fade or tarnish. This bracelet is hypoallergenic, comfortable, durable and both lead and nickel free. a black velvet draw string bag to protect your precious bracelet when it is not being worn. 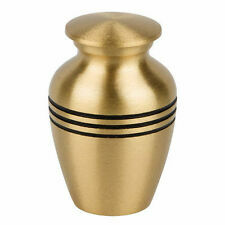 Adult Brass Cremation Urn - Earth/Bronze. These cremation urns are crafted only from the highest quality using intricate engraving to enhance the design. - Individually crafted and finished by hand. It is ready to wear as soon as you receive it. sand or soil from a significant location. a vial containing 'thread-locker'. a small lock of hair or fur. Pendant Specifications a beautiful black velvet presentation box to protect your precious pendant when it is not being worn. It is ready to wear as soon as you receive it. sand or soil from a significant location. a vial containing 'thread-locker'. Pendant Specifications Length: 31 mm (from the top of the bail to the point of the heart). It is ready to wear as soon as you receive it. a beautiful black velvet jewellery box to protect your precious pendant when it is not being worn. sand or soil from a significant location. a vial containing 'thread-locker'. It will not discolor, fade or tarnish. This pendant is hypoallergenic, comfortable, durable and both lead and nickel free. It is ready to wear as soon as you receive it. sand or soil from a significant location. 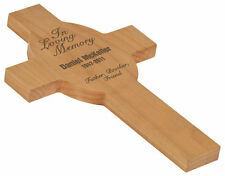 Adult Brass Cremation Urn - / black/ bronze border. These cremation urns are crafted only from the highest quality using intricate engraving to enhance the design. - Individually crafted and finished by hand. 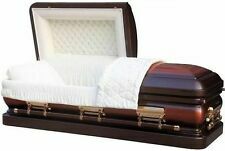 NATURAL MARBLE QUALITY CURVED CREMATION URN ROSE 210CU"